BY re-enlisting director David Yates and with JK Rowling herself penning the screenplay, it was clear that Warner Bros had high hopes for this new story from the Harry Potter universe and were willing to put the resources into creating something worthy of its own legacy and not simply rely on past popularity. For the most part, this undertaking has to be considered a success with Rowling creating a familiar but still refreshingly different world populated by original, endearing characters. Leading this new ensemble of wizards from the past is Eddie Redmayne as the lovable Newt Scamander, a British wizard who arrives in New York with a suitcase full of magical creatures. The Harry Potter Universe is one of such depth with still so much untapped potential and this style of spin-off is a great way to explore some of the lore that has made it resonate so much with its audience. However it soon becomes clear that Fantastic Beasts may have taken on too much too fast. 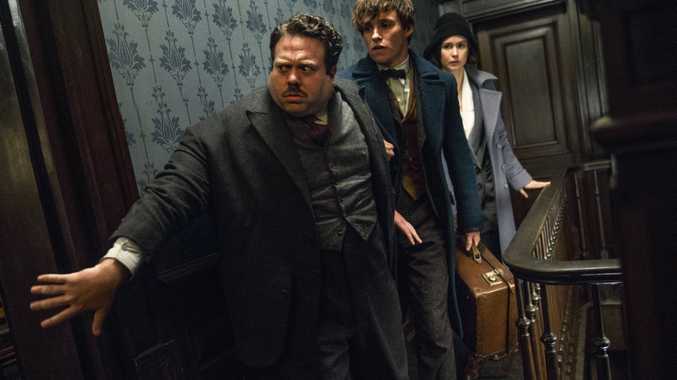 There are really two very different stories happening in tandem here: one of Newt and his love of magical creatures, trying to keep them safe while educating his fellow wizards, and a much darker story about magical suppression and the frightening consequences of it. Theses both play out in interesting ways and feature some terrific character interactions performed by even better actors, but it also creates some pretty jarring tonal shifts that disrupts the experience more than they should. Still, you can't help but feel the magic woven into the very DNA of Fantastic Beasts. While it has its flaws, the passion behind the film is more than enough to make it a fulfilling cinema experience. Stars: Eddie Redmayne, Colin Farrell, Katherine Waterston, Dan Fogler, Johnny Depp, Ezra Miller, Zoë Kravitz.